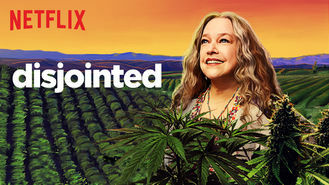 Disjointed (2017) on Netflix India. Check worldwide Netflix availability! If Disjointed isn't available in your country, or you are visiting a country where it isn't, there is still a way to watch it! Pot activist Ruth Whitefeather Feldman runs a medical marijuana dispensary while encouraging her loyal patients to chill out and enjoy the high life. Her staff is stoned, her patients are baked, and she's definitely flying high. Welcome to Ruth's Alternative Caring.